The United States has begun airlifting French soldiers and equipment to Mali with its C-17 transport planes, in an attempt to push back Islamist militants that have taken over the northern half of the country. The airlifting will continue for several days as the US aids the French government in its initiative to fight Islamists. 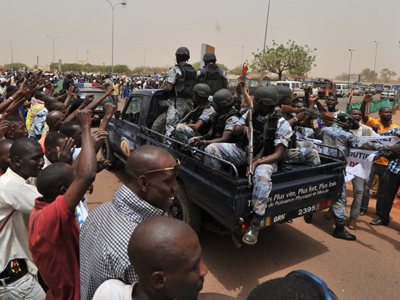 The Malian authorities, fearing a terrorist takeover, has long requested help from neighboring countries to regain control of the north. “The missions will operate over the next several days,” Tom Saunders, a spokesman for US military’s Africa Command, told the Associated Press. Three US flights have arrived in Mali since Monday, with one arriving Tuesday morning, the New York Times reports. French Defense Minister Jean-Yves Le Drian on Monday declared his goal of a “total reconquest” of Mali, a statement that was followed by the French takeovers of the central Malian towns of Diabaly and Douentza. France currently has more than 3,000 troops working on the Mali takeover in an operation it has code-named Operation Serval in Mali. 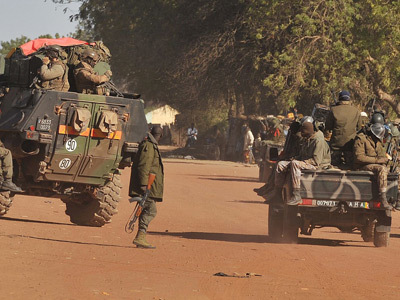 All but 1,000 of these troops have been deployed in Mali, while the rest are intervening from the neighboring countries of Nigeria, Togo, Benin, Niger and Chad. 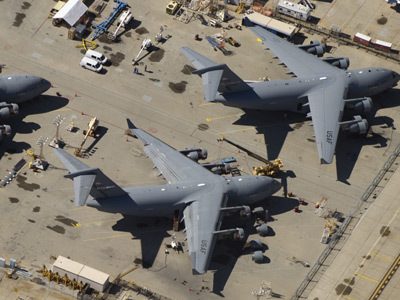 The extent of the US involvement in the initiative is unknown, but the use of at least three C-17 transport planes has been witnessed by reporters and there are reports of a US-flagged military transport aircraft taking off from the Istres air base in the south of France. A US official has also confirmed that the US is working with France on intelligence issues, without elaborating on the extent that the Obama administration is involved. In an interview with ABC’s Martha Raddatz on Capital Hill after the swearing-in ceremony on Monday, Defense Secretary Leon Panetta said that the US assistance in Mali is a good example of future military assistance it might provide to its allies. 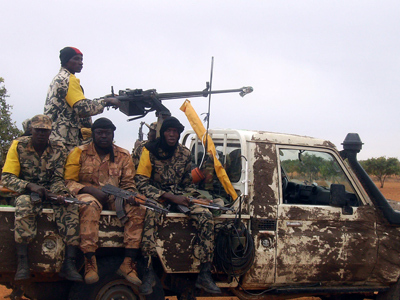 Washington on Friday congratulated Paris for its "antiterrorist" actions, but made it clear that it would not bring its own troops into the conflict, since Mali is not of strategic interest to the US. 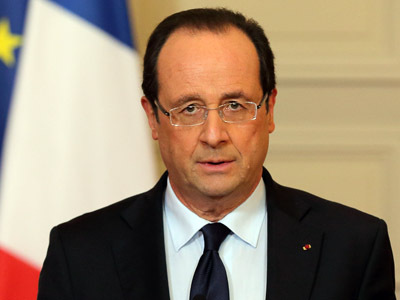 “Our willingness and ability to help other countries like France be able to go after AQIM (al-Qaeda in the Maghreb) I think is the kind of model you’re going to see in the future,” he said. Panetta confirmed that the US is providing France with intelligence, but has not made a decision on whether or not it would provide unmanned surveillance drones or refueling tankers for French fighters conducting airstrikes. “We, the people, still believe that enduring security and lasting peace do not require perpetual war,” President Obama said in his inaugural address in front of an audience of nearly a million. As the president was sworn in for his second term, US airlifts continued to bring a 600 troop French battalion to Mali in wake of rising extremism in the northern part of the country.